Is 2012 Going To Be Traveling The Road Less Traveled? Over the past 10 years I held a succession of jobs that could be demanding. I also, as a divorcee, had a long hour drive to see my children two or three times a week, and every other week on one of those visits to see them, I drove them the hour back to my dwelling so they could spend the weekend with me. I also had to care for my ailing mother and, occasionally, had some rarer free time to spend with my friends, and it left “no time” for a relationship for me, or even much time for dating. What I did not realize, as I went about my daily living, being responsive to all those around me who needed and demanded my allegiance and abilities, was that I was, in the words of the 1977 Paul Simon song, “Slip sliding away, slip sliding away. You know the nearer your destination, the more you slip sliding away”. I was doing what I thought everyone else did: pursue their lives to the best they can within a balance of competing demands and restrictive circumstances. I did not, upon the event of my unanticipated divorce, simply take the easy path that many modern fathers do, and take a “hands-off” role in the raising of my children once their mother declared, (with a court system predisposed to agree) that she would be the primary care giver. Instead I vowed to myself that I would not allow her dysfunctions to derail my life; I would, having already committed to doing a new business venture, continue to make my dream of having a career as fulfilling as I had finally learned it could be after decades of seeking, and still be a loving and dedicated father to my kids. But a few years of “divorcedom” later, after an unsuccessful bid at the high level startup and a follow-up last ditch go at doing network marketing sales to salvage the “bottom of the ninth – two strikes two outs” episode of my life, I was significantly derailed. Though my career was non-existent, my dedication to my two boys was ever present. Sometimes I was doing a business trip or function, but I did not miss a birthday, a recital, or a holiday, and made most all of their sporting events. And even when I found myself working well below my former “corporate management level” status and income, and faced great challenges in making sure I was there for them, I maintained a firm stability for them. This despite an ex-wife who felt the hardships of her divorced life were my entire fault, and did not (though occasionally was forced to by my situation) want to waste her time accommodating my perceived difficulties. As my life went “up and down” through many transitions, she held her same job, same hours, day-in, day-out with no disruptions or hardships of anywhere near close to what I had to take on. In her mind, since I was the one who was “stupid and irresponsible” enough to do a business start-up and seek a dream, then I deserved everything that happened to me as a result of such failures. But now, as I embrace the year 2012, having a decade of beautiful hindsight and almost cinematically vivid afterimages of my life as a divorced father and “man”, I realize that the path we often think is the one we are supposed to be on… The one that has the most dedication, the most grit, the-never-let-them-see-you-sweat shouldering of all the responsibilities and preconceived notions of what a “man is” in this modern western world… The one all the movies and great stories of success tell you is the attitude and persistence you should have, the very essence and quality of the man you should be so you can indeed be “all you can be” – can turn out to be merely chasing the reflected illusion of an idea within the languid stillness of a daydreamers pool: ephemeral and illusive. And I don’t mean that I should not have been chasing the dream of desiring to exhibit and use my skills, my passion, and my purpose, as I saw it, in my business career…I mean that the idea that a man can only be defined by having a career where he is successful and accomplished within the trappings of a nice suit, a sleek vehicle and a fat wallet: I mean, that is the illusion. For that was the one my ex wanted for me before we were divorced, and why, when it did not occur to meet the schedule of her timetable, she divorced me. And the pervasiveness of the “success dream” was so completely encompassing, that I too wanted what she wanted. I was not just pursing my dream of “fulfilling my passion and sharing my expertise”…I wanted it all just as the programming of society told me I wanted it; and that level of high artifice, that great loftiness of what qualified as the ultimate in being “accepted”, made it a much higher precipice to fall from. But still, despite my mixed motivations at such pursuits, is it really a failure to reach for the sky and attempt to attain your dreams? Do we really want to teach our children that dreams are fine for TV and movie characters, for the illusion of Hollywood in all its glory…but not for those of us in the “real world”? The fact is, even having been there, I would rather have tried, encountering all the complexities and frailties that do end up surfacing in seeking any great challenge, than teach them to just stay within the safety of the lines, to stick it out in a dreamless life of sameness and stability, never knowing what it is like to feel the brass ring within your grasp. I want them to know that life is really lived uniquely only by those who seek that which most simply shy away from. I want them to know that the true magic and majesty is reserved for the bold and the courageous, not those who never cross the street against the light. It does not mean there is only the path of doing a business startup as I did…it could be as simple as wanting to make sure you keep playing that violin, or keep tutoring those kids after your workday is done, or keep painting those quirky pictures. It means you are not staying within the lines that everyone else has painted on the streets of your life. For that is the key to both success in life and, eventually, simplicity, and joy, in life. We can get so caught up in thinking we know what is best…by listening to everyone except ourselves. And that “listening” is not just through hearing the words of our parents or spouses, or close friends and family, as they advise us on the road to take as they see it; it is, as we are well aware of, but really can’t admit we hear…listening to the “voice” of the larger society outside our door. The one that suggests to us the TV we should buy, the vacation we should take, the logo we should be wearing on our sleeve or our foot. For in truth, “it” suggested everything to us: the kind of person we should date and marry; the kinds of jobs that are acceptable; the products and restaurants that we should visit and consume; and every other possible facet or item in our life…because in its ever present droning, there is nothing left to chance, or more effectively, for us to creatively think about by using our own brain fueled only by the distinctiveness of our own hearts. In my retrospection, if there are any intense failures in my life that caused me great psychological turmoil and grief, it was not my divorce or my business failures, or the times each week when I was separated from my children, relived over and over again every time I had to drop them off, it is that I fell from the high precipice of being someone who “bought into the system”, a system that I held so dear. And that failure was immense, engulfing, and truly earth shattering. It was by far the hardest challenge I have ever had to overcome. In looking long and hard at it myself…I eventually came to a personal revelation. My epiphany, cumulating after years of dancing in and out of my contemplation’s, occurred just in the last months of 2011. I realized, as we can get so steeped in pursuing the painted lines of those predefined roles, the ones that feed all those predefined notions, that are grown from all those predefined “do’s and don’ts”, enmeshed within all the complex richness of our constructed personalities…that we forget we are not who we think we are: we are not our manufactured selves. We are just so invested in maintaining the stability of who we think others say we are that we can’t allow ourselves to be anything else but that. And we are anything but that. We are, in the end, amazingly what is left after you strip away the jobs, the careers, the clothes, the cars, the restaurants, the toys, and vast other stacks of consumables… When you strip away the consummate expert, the well defined worker, the ever present confidant and colleague, the dutiful mother, the respectable father, the wife, the husband… When you strip away all the roles and all the responsibilities that drive you to rise every morning and have you chart out your to do list every night; what is left is a “you” that you can hardly even relate to. A “you” that can only be found when you take a walk on a silent path that very few venture onto. That path onto the road less traveled, the road so desolate, as it is now a road immensely well hidden by the mist of society’s constant stream of disheveled and disingenuous distractions. There are hardly any “you’s” on that road, a road of proverbial personal truth and enlightenment so rare that the belief and knowledge that it exists has become such a distant human memory that the idea has virtually lapsed from legend into pure myth. And I do wonder, even in 2012, will many even find this road? What I found on that road was beyond amazement. It was the essence of pure bliss. And that is why I know that the promise of 2012 is oh so real. It was the deafening silence delicately held in the air of solitude after hearing the whispering from within my heart that my life was not dictated by anything or anyone. That all those who sought to choose for me what my best path in life should be, what best associations I should be making, what were my best goals, morals and behaviors, that would make me a better man, a better father, a better member of society…all the endless chatter that, now, looking out from within the quiet path, became the mere mists of the true illusions. Now, here, within the quiet simplicity of who-I-really-was, was a relief vaster than the scope of all the oceans. I travelled that road and it bought me to me: A “being” that has sole, and soul, dictate on how he thinks, and what he does. A person “free” of the conglomeration of constraints that affect us, the ideas, beliefs and concepts that have us thinking we need to be a certain way. When all we really need is to be ourselves. But, I can tell you this, I welcome you on it friend. It is the grandest road you will ever dream of finding should you choose to take it, and in taking it, “May God keep you and bless you, and may the wind always be at your back”. For I found that the very mind and person I held so dear, the very skills and the expertise I had struggled to attain within the years of maturity and build up to construct the final “who” I thought I was, was simply a collection of traits and abilities that were systematically engendered in me to have me become a cog in the great turning wheels of society…to bend my talents in the direction to best serve the continuation of the “societal species”, which cared not what cause or side I ended up on, but only that I engaged in proper pursuit of activities and behaviors that kept the distracting mist intact and unwavering. It was not really “who’ I was. I was not my mind, not my talents, not my past. Not what “they” would say defined me. I was simply a free and sovereign divine being of the cosmos. And that was all. Within that indefinable definition…was anything and everything I freely chose to express; in the moment or for eternity. It mattered not as long as it mattered only to me. And what I found then, on that road, was that I could be a very different me. A “me” who could pursue different abilities and skills, who could walk different roads beyond even this one less traveled…a “me” who could be as bold and courageous as bold and courageous could be. And in discovering that I could freely choose…anything, I found that it was within the act of knowing you have the choice that creates the possibility of attaining true joy in one’s life. There is much to clear out as you walk on this path…and that is what causes all the steep hills and plunging valleys along the winding course of this road…for here, you can’t carry all those notions that hold you back or keep you down. So what does it all mean for me, traveling this path and seeking the golden era? I get to be a truly genuine father to my children, one who inspires them and is an example of pure integrity of spirit and joy to them: one who teaches them that life is to be lived fully in the moment and not regretted for the past. One who gives them a prime example of the true grit and grandeur of true freedom: forging your own path of the heart is the path to true joy. As a result of my bravery, my courage to go where the faint voice of the higher self whispered I might consider going, I have newly found, and get to be an amazing beloved soul, and man, to an amazing woman. I get to be the pure essence of a being who brings to the world, all the love and beauty and wisdom of one who knows the true bliss and joy life can bring, who sees all the magic and amazement that life really unfolds for those who can dare to look beyond the mists. That is what it means to me. And that means everything, changes everything and reveals everything. The only caveat is…It can’t be imagined until you experience it. I am so glad I am. As I now can embrace the enfoldment of something very new to me: me. And as a result of that acceptance, of choosing mystery and mastery over the known and comfortable, I now get live each day in a constant state of newness and surprise. It is so different from the old path of my life that it is truly unexplainable if you are not also on the same path. But if you too are wondering about the path less traveled, I can only hope that 2012, in all its glory and promise, can do the same for you. Be well. Be in Light Work. P.S. : Because it is so important to clear the stuck energies within us, within even our very cells, spirit asked my Master Teacher, Rev. Christine Meleriessee (and myself) to offer a series of classes to help with the clearing. We are gifting the first class to everyone as this is very timely assistance. Just go to http://lifestationearth.com/page_156.html and download it. It is a 2 hour journey of immense clearing and healing using the assistance of many Christed Consciousness beings called “LEARNING TO EMBRACE THE GOLDEN ENERGIES OF 11:11:11” A journey into the Inner Self through the Chakras and the Rays of God to fully release Fear-Based Feelings and Thinking. If you want to continue with The Work after you hear this class, there are instructions on that same page to sign up for more classes. Blessings on your journey. Author Rev. Christine Meleriessee and Rev. 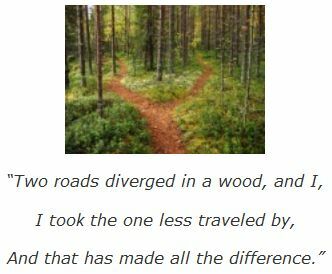 J. Michael Ara HaydenPosted on January 11, 2012 Categories ascension3 Comments on Is 2012 Going To Be Traveling The Road Less Traveled?